Infra red heaters suspend from the arms of a Sunbrellas, the orange/pink glow of the heaters provides atmospheric warmth, and gives out 1.5KW each. 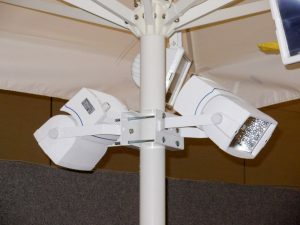 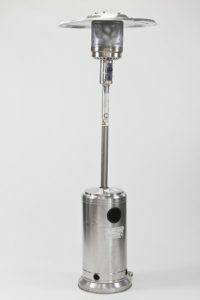 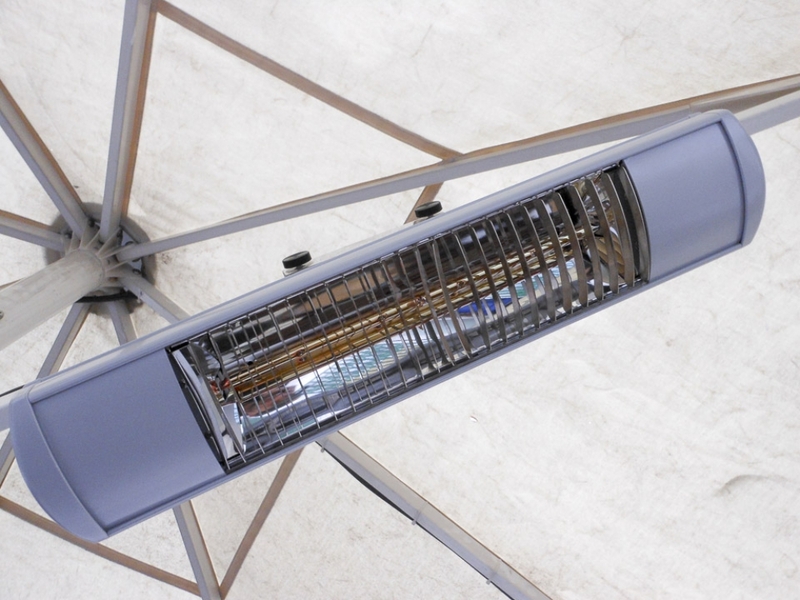 For installations without power access we also have gas mushroom and pyramid heaters. 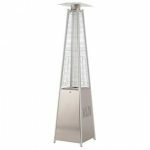 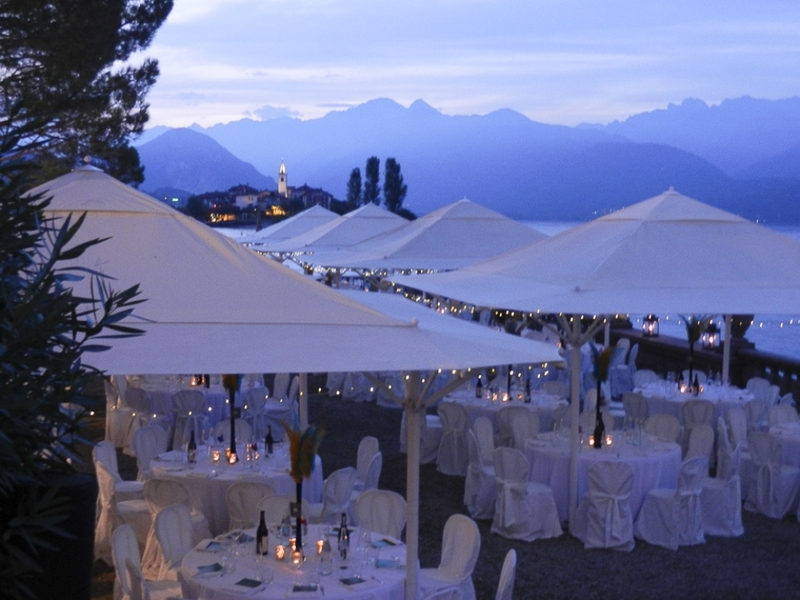 Fairy lights, subtle strip lighting, spot lights, flood lights or battery operated uplighters (which can be set with varying colours alternating or static) to surround the Sunbrella pole, please ask as to the most suitable lighting effect for your particular occasion. 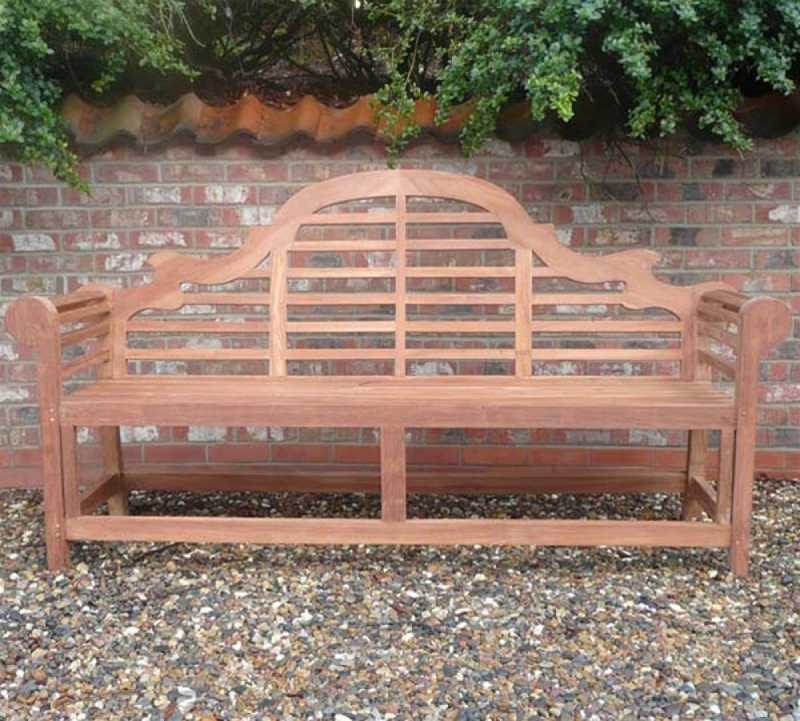 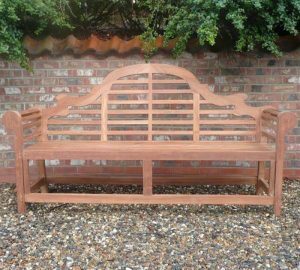 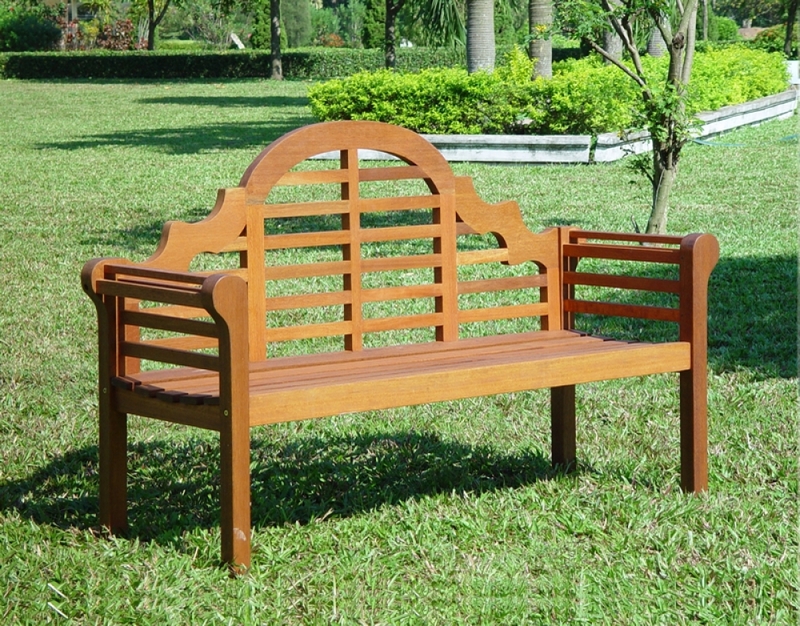 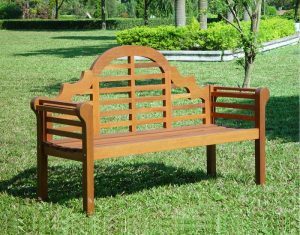 Ornate Lutyens garden benches will add a touch of class to your event. 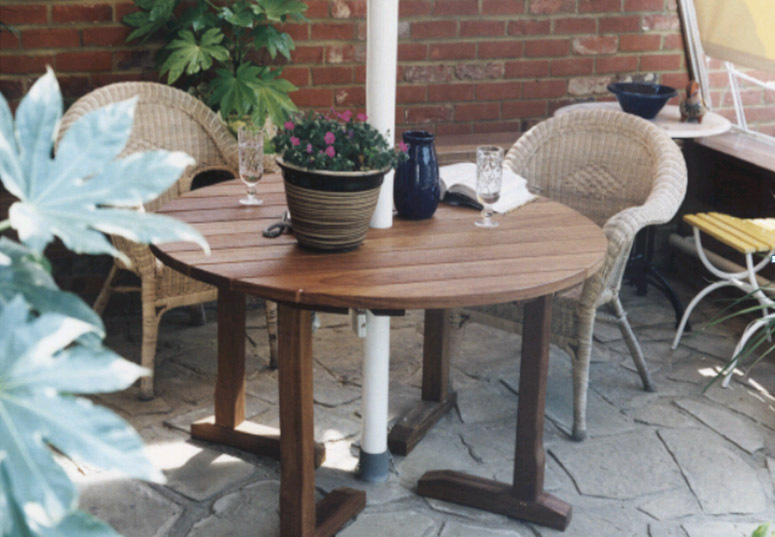 The 4ft Iroko solid wood table fits around Sunbrella poles and seats 6-8people. 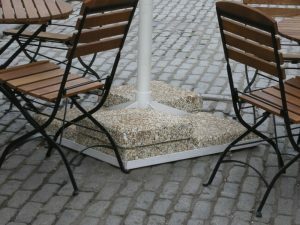 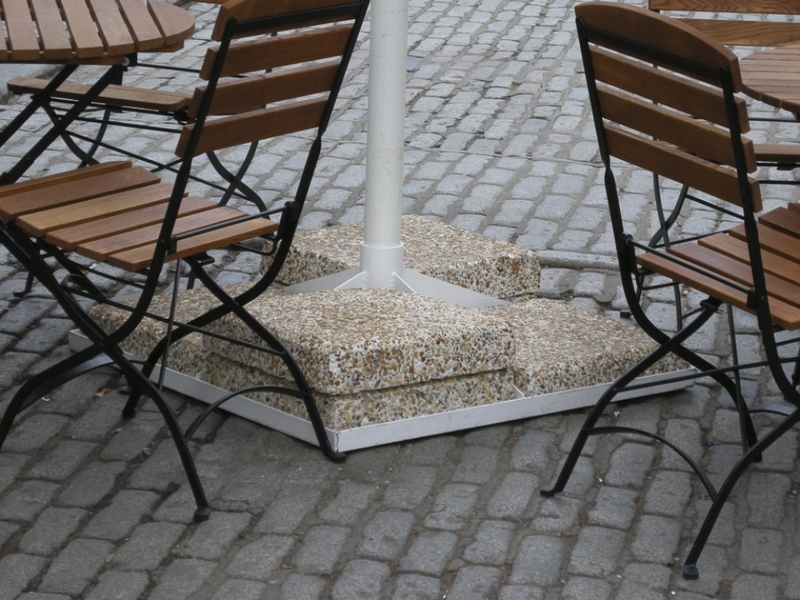 We also have fold down ply tables to fit around Sunbrella poles, ranging from 2 foot to 11 foot with table cloths.